Wednesday March 14th was a great day for coffee lovers. Starbucks coffee shops up and down the country were giving away free tall lattes to promote their new way of personalising their service. 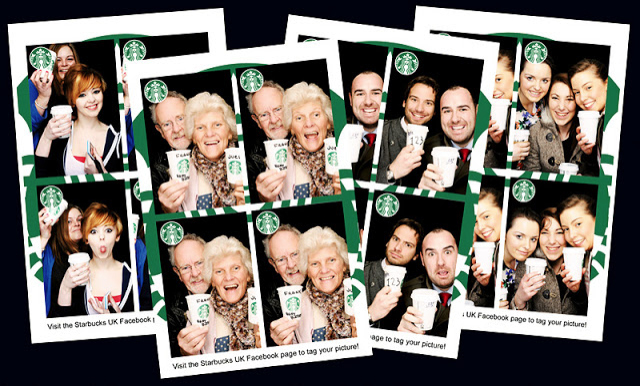 Boothnation created five branded Starbucks photobooths to add some fun and social media interaction to the experience. Our booths were in Aberdeen Union Square, Birmingham Bullring, Manchester St. Anns Square, New Look Oxford Street and Westfield Stratford.